Specialized in white water sports in France. 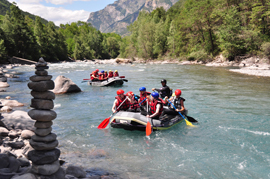 We are settled in the Vallée de l’Ubaye in the South Alps of France and we navigate on the Ubaye river. The whitewater sports season is launched and the water is there. We are open, you can now book or contact us to organize your stay. A very good experience between friends, with a very friendly team and who immediately put in the mood. The safety instructions are clear. Being 4 out of 5, we had a great time between descent of rapids, jumping from a rock and sliding down the cold river (long live combinations!). The instructor guided us well in our crossing adorned with commentaries on the region. The little extra: the coffee was offered to us as we arrived shortly before our 9am session and it was chilly. 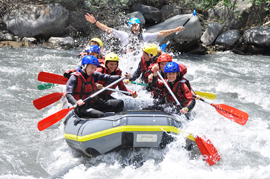 If you want to raft in the Ubaye, my friends and I recommend it! 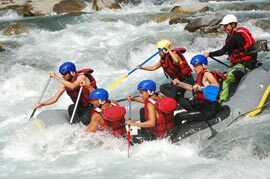 A unique rafting experience. I highly recommend this property. A big thank you to Laurian our guide who is both funny and very pedagogue! We will definitely be back !! 4 hours of Canyoning! 4 hours of adrenaline! The scenery was magnificent ... Parcours Sportif! We were lucky enough to come across a homogeneous group, everyone was about the same level! Very good framing ... 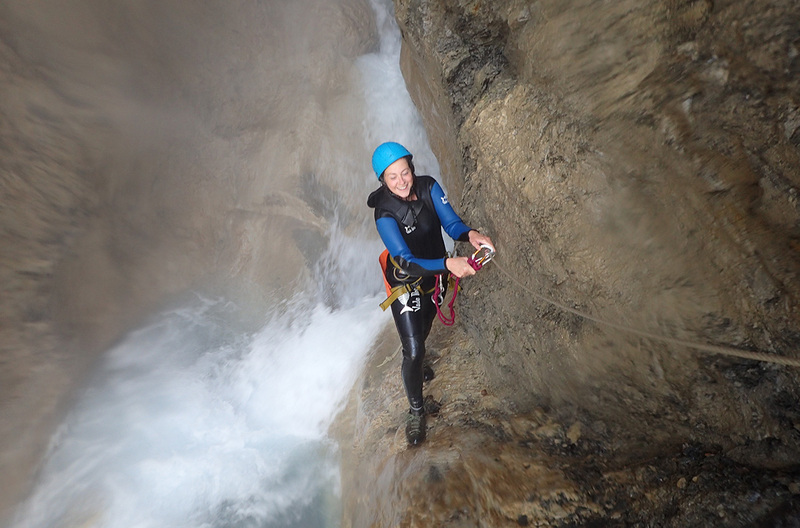 Frankly at the end of the canyoning (which ends in a via ferrata) I was slammed;) but very happy! The course is progressive at the level of reminders ... more and more impressive! It was the first time that my 14 and 15 year old daughters were trying rafting. They were enchanted especially as they were all 2 small private lessons. Low season, many closed bases, Anaconda has responded affirmatively to a rafting trip for my family. Pro in every sense of the word, security, open-minded teaching and very good knowledge of Ubaye. A big thank-you. Two super courses with a great guide ... a good barbec at noon (barbec left available by anaconda) .... thank you Guillaume! A great time spent with friends, it was great, thanks to Guillaume for supporting us, to do and to remake! DTwo years ago we had already used the services of Anaconda for rafting and hydrospeed. We started again this year. As the water level was different, we had different routes. What has remained identical is an easy contact, good material, clear explanations. Thanks to Guillaume for his support in both activities. The 5 members of the family unanimously recommend. 52 kilometers and more than 60 rapids are available to you! Last river with natural flow, it is famous for its rapids throughout Europe, it is the spot of white water sports and Anaconda Rafting proposes to you to discover this magnificent river through a wide range of activities, To satisfy everyone, to satisfy all tastes, all cravings, all levels, in perfect safety under the guidance of patented guides. From € 45 / Pers. From € 54 / Pers. The Ubaye is renown as one of Europe’s most beautiful river, a small treasure in the South Alps. 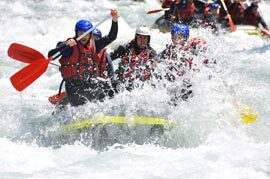 Its 50 km rapids offer a wide range of courses, unequalled in the Alps. The Ubaye runs from the Italian boarder down to the lake de Serre Ponçon. This river has no dam, and reaches its higher water level in Spring, when the winter snows melt (until 150 m3).